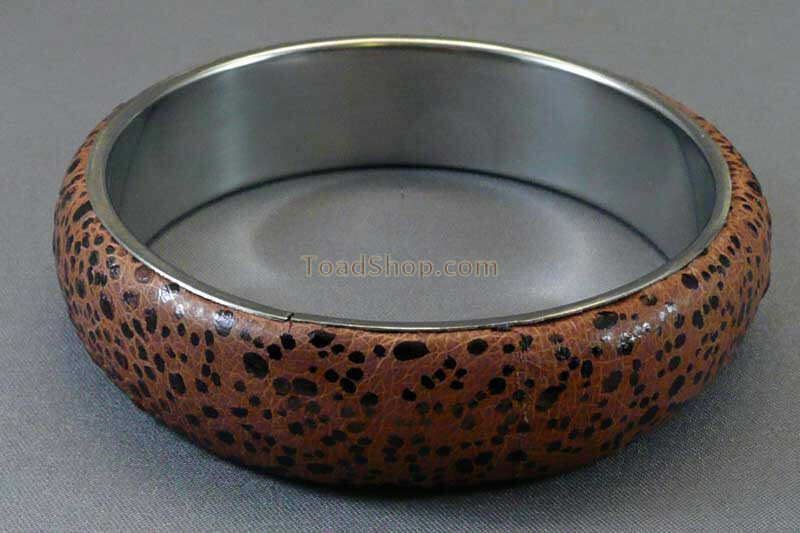 Bangles made with stainless steel interior and real Australian Cane Toad leather surface. Comes in two sizes. 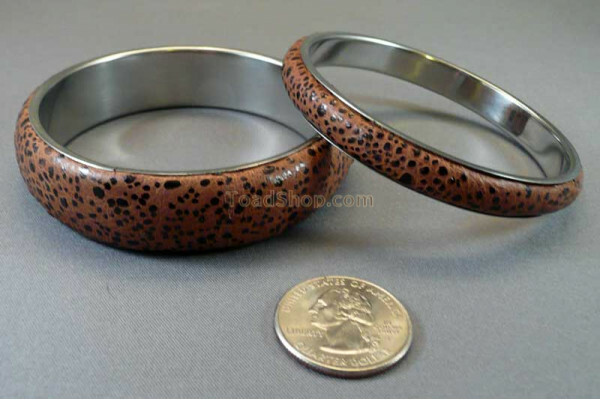 The bangles measure approx. 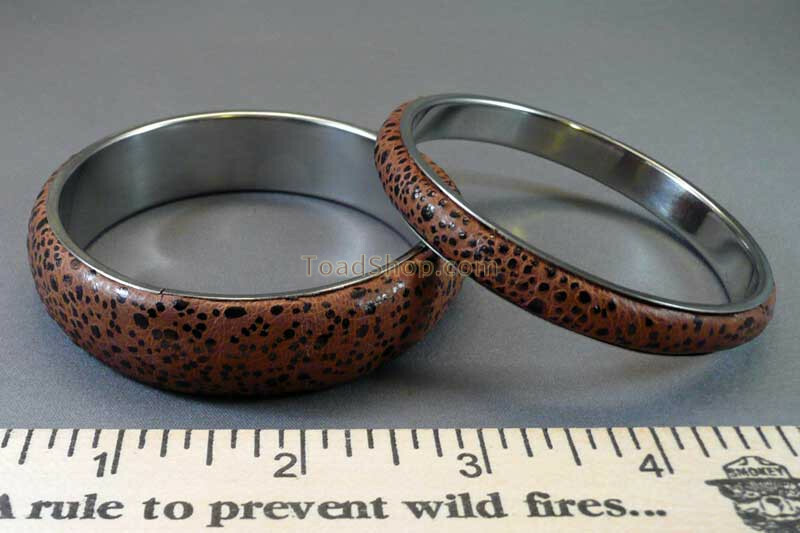 2.7" (65mm) inside diameter and are either 0.4" (10mm) wide for the narrow size or 0.8" (20mm) wide for the wide version.